Stealth Tracking Pre-register Now Android . Stealth Tracking Apk Data Download . Stealth Tracking is a 3rd person tactical competitive game created with Unreal Engine 4 , Which was built by the jungle Law team for a year . Stealth Tracking is New Battle Royale game like PUBG Mobile . It's looks Amazing in graphics , you can see below beta gameplay . It's still in beta phase in china , you can pre-register it from below link . The Game breaks the traditional shooting competitive mode and creates a unique asymmetric creative gameplay . 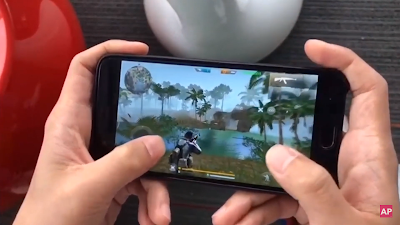 I am sure when game is out for every one , it's direct compete with PUBG Mobile. Still we have now info about game release date , but you can Pre-register it as of now . Stealth Tracking Gameplay Video . Any time Stealth Tracking is available we try our best to give you apk data for Android , so connected with us .